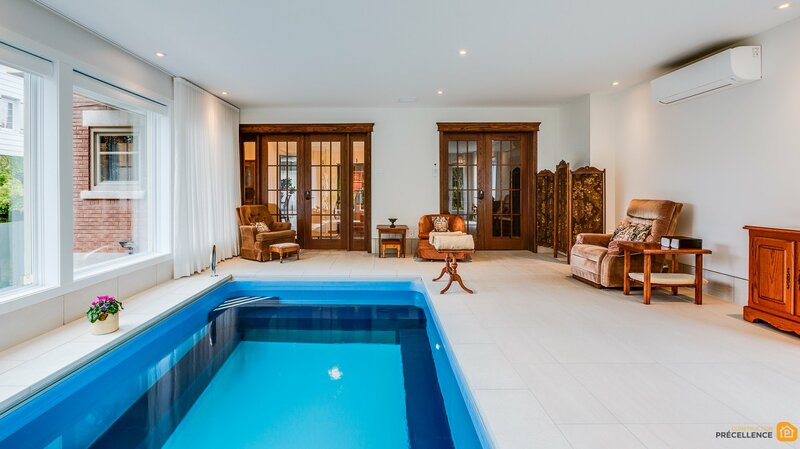 Discover this magnificent indoor pool construction and residential expansion project in a Ahuntsic residence. You too can benefit from our expertise as a general contractor in residential construction and our turnkey construction services. Call us for a free consultation! 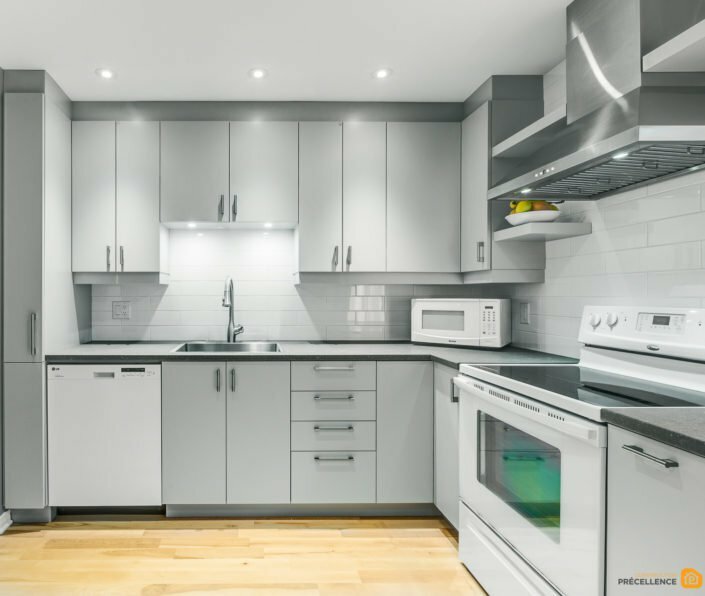 In our line of work, we have the opportunity to work on projects of all sizes: from renovating a bedroom to expanding a house, no challenge is too small or too big for us. 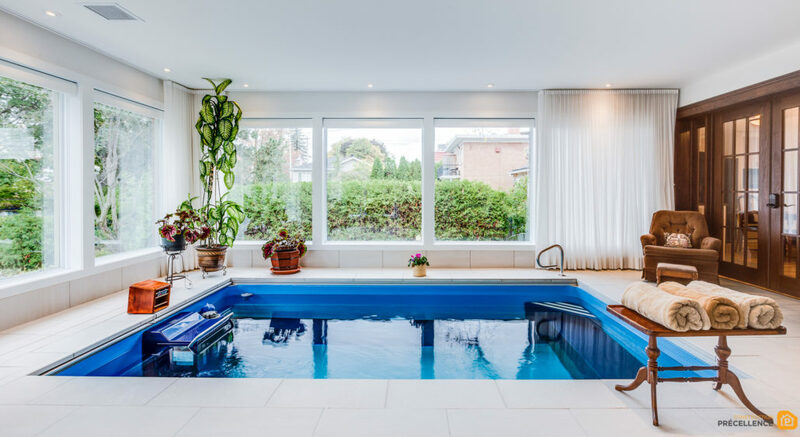 These Ahuntsic clients wanted to expand their house by creating a special room for an indoor pool. 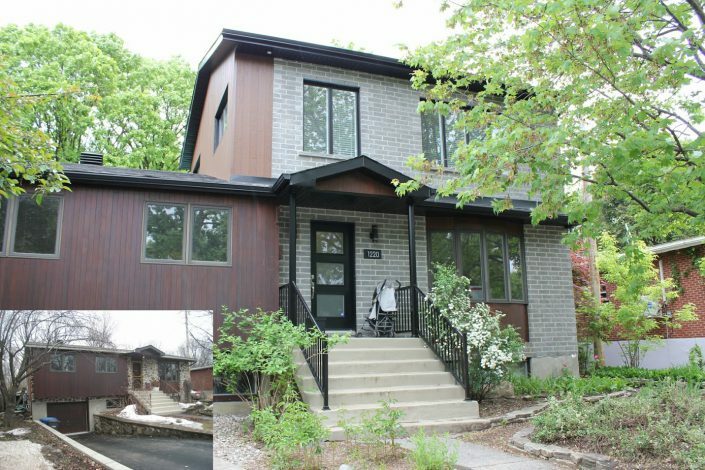 This project is a major challenge that we have successfully completed. With a project such as the construction of an indoor pool, we had several points to consider. First, we called on an architect specialized in indoor pool construction to start the project on a solid foundation. First of all, it was essential that the new room added to the house be exclusively dedicated to the indoor pool. The indoor pool had to have a technical room, storage for cleaning products, but also essential facilities such as an opening to the outside, an appropriate ventilation system and a dehumidifier. Also, we built the additional room off-centre to the other rooms in the house to minimize the noise impact of the use and devices surrounding the pool. We also conducted a soil examination to ensure that the residence’s soil will be able to accommodate a load as heavy as a pond filled with water. We also took care of the administrative procedures to obtain the necessary certifications and permits for the construction of the indoor pool. 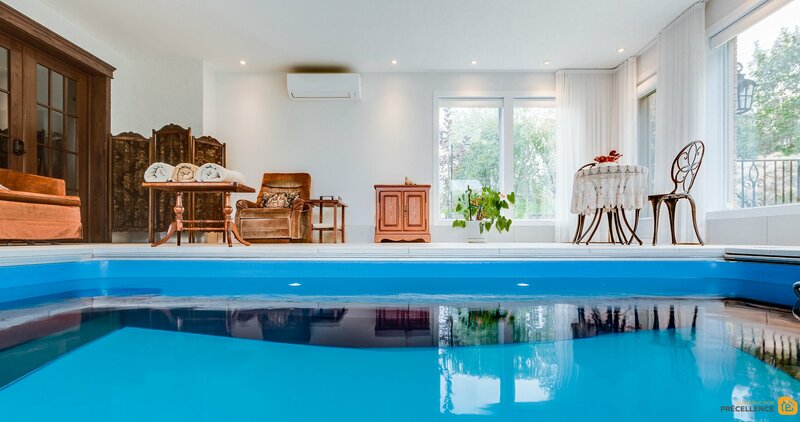 Subsequently, we started the construction of the room for the indoor pool by integrating a dehumidifier, which would allow the evacuation of the chlorine smell, but also to maintain an adequate humidity level and avoid the formation of moulds. For this residential expansion, we chose a large ceramic tile floor covering. We have also added full-size windows on three of the four walls for maximum brightness. For the installation of the pool, we called upon a specialized team to pour the concrete base, and installed the filtration system and a water heater for the pool. The customer opted for a vinyl pool cover that is durable and easy to maintain. Finally, our designer recommended the addition of French wooden doors, as well as wooden and rattan furniture for an optimal relaxation style. 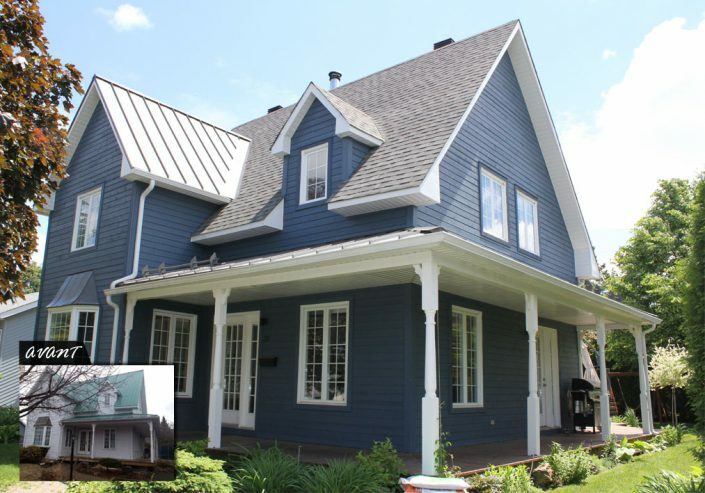 As a general contractor in residential construction, Construction Précellence took charge of each step of the project and accompanied our client to provide him with appropriate advice. For this project, we called on partners such as indoor pool construction specialists, architects, ventilation and air conditioning specialists, as well as door and window contractors. These business partnerships allow us to realize the exact vision of each client so that their project is successful. 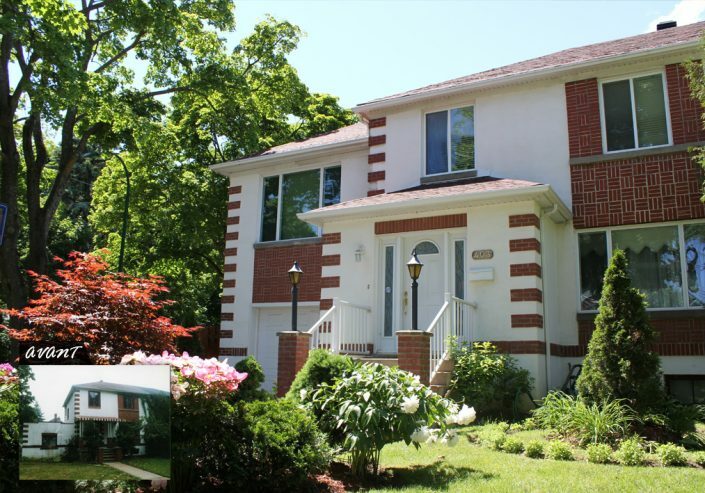 If you would like to know more about this pool construction and residential expansion project in Ahuntsic, our turnkey residential construction service, or our prices, we invite you to contact us by email or phone. Your first consultation will be free of charge! Our team will be happy to welcome you and answer your questions.